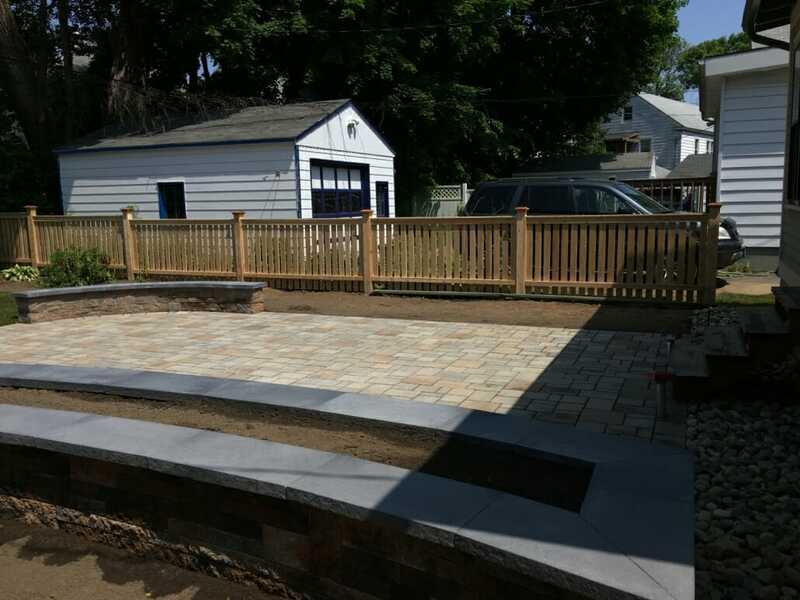 What is a Permeable Paver Patio? 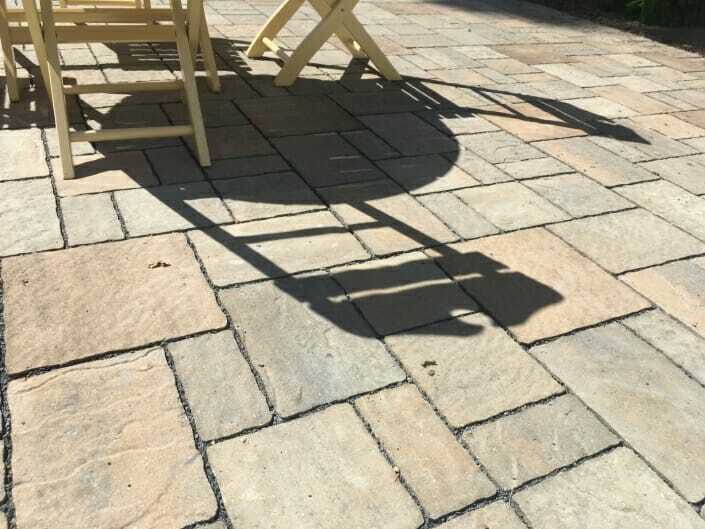 You are here: Home / Blog / Blog / What is a Permeable Paver Patio? You may have heard of permeable paver systems in the last few years. 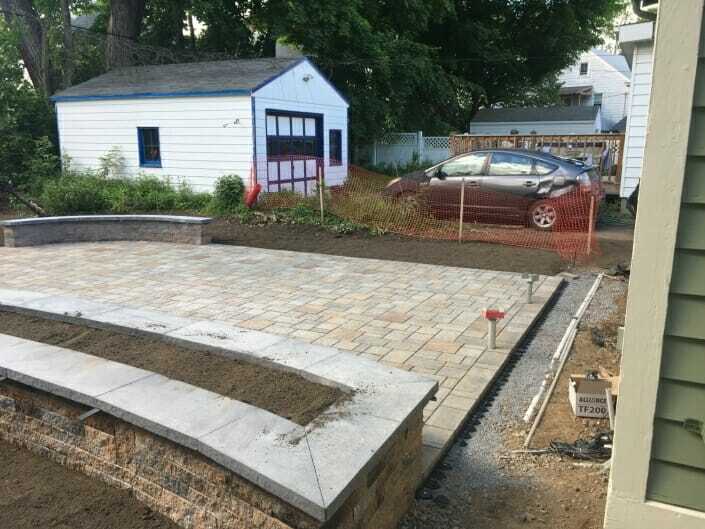 But just what are permeable pavers? 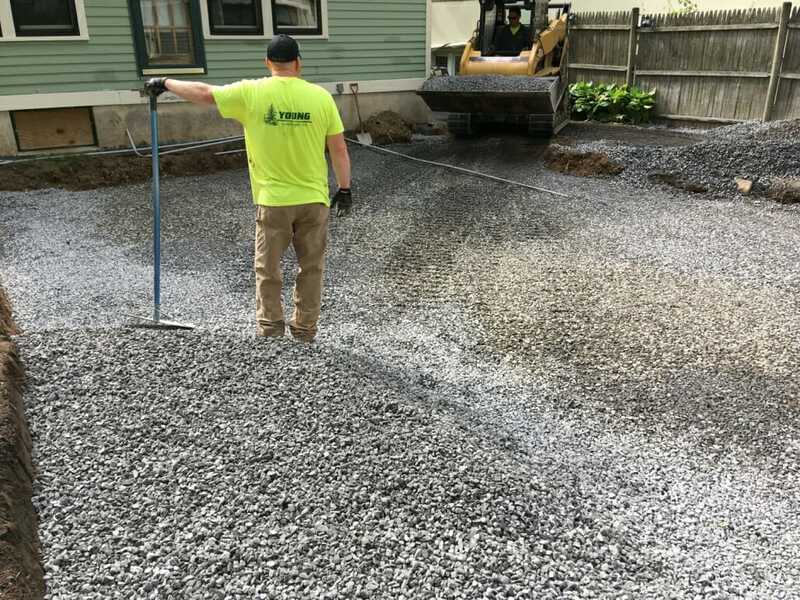 Controlling storm water is an evergrowing concern these days as more and more of our everyday environment is not permeable and rain water has nowhere to go. 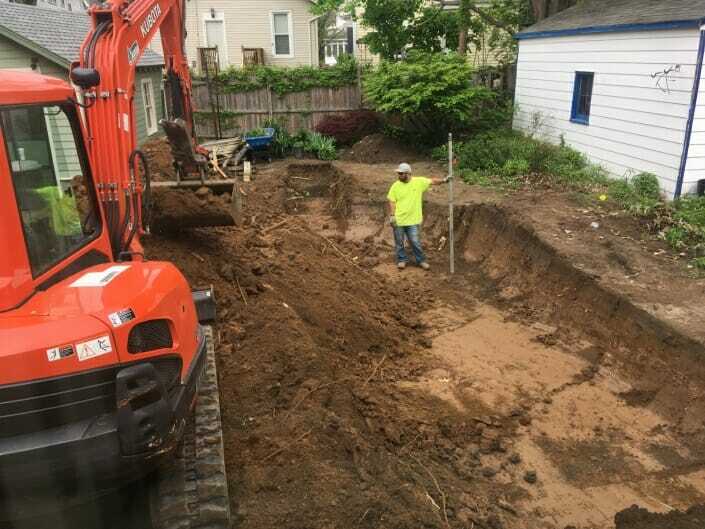 If we can control the water on our own property that is a significant step in easing the burden on our municipal systems. If you are constructing a new patio or walkway the use of a permeable system can help. 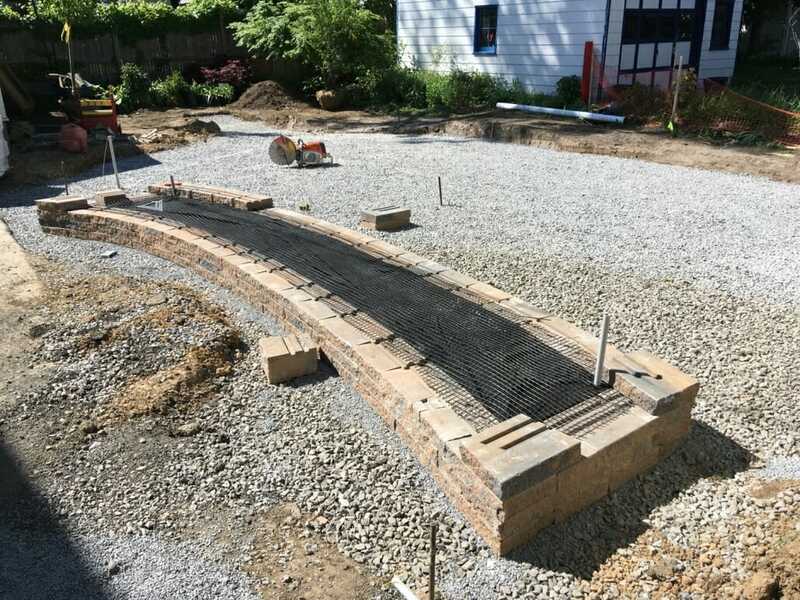 Permeable paver installations use a typical concrete paver (which is not permeable). 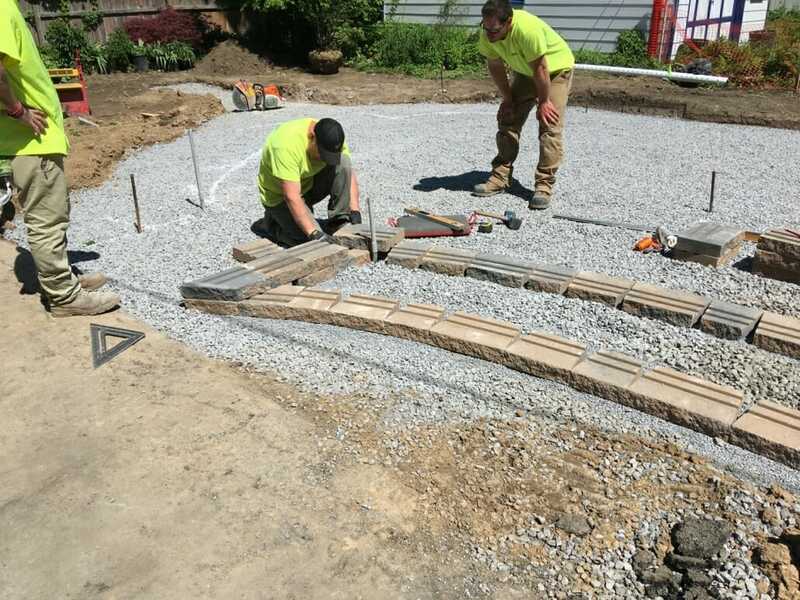 Water drains freely between the pavers through tiny gravel infill. 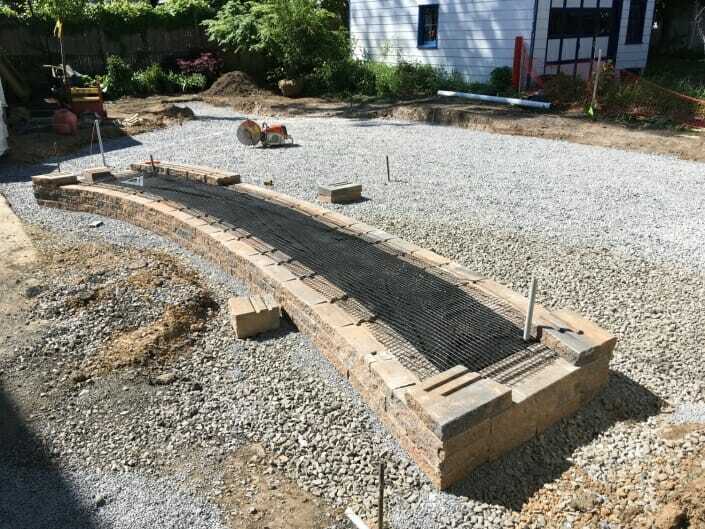 The drainage base under the pavers holds the water where it can infiltrate into the ground naturally. 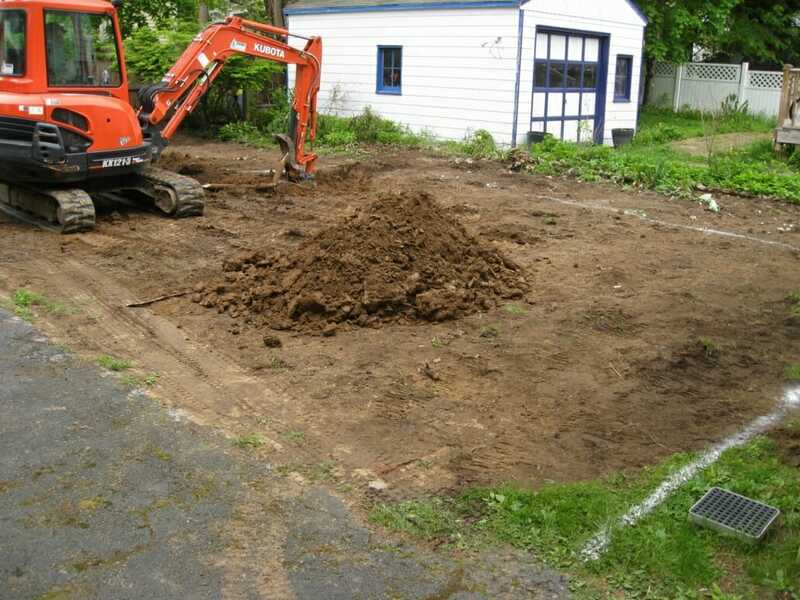 If the soil is clay and/or there is a very large volume of water expected a pipe can carry the water away from the home. The tiny gravel infill can be sealed so it does not move out of the paver joints but still is permeable. 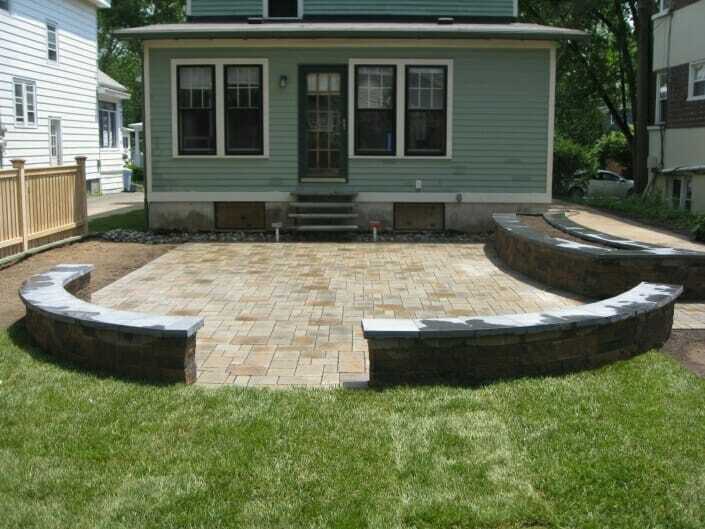 This provides a patio or walk which can be used as easily as any conventional paver installation. 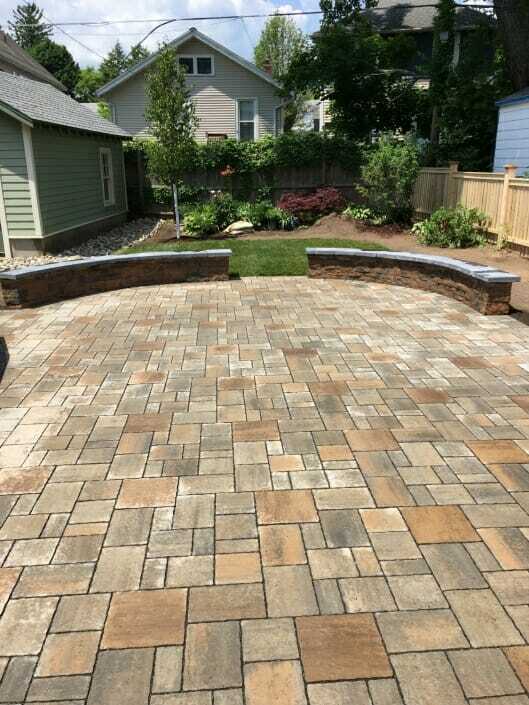 With permeable paver systems there will never be a puddle on your patio and the deep drainage base protects the patio from heaving due to the frost / thaw cycle we have here in the Albany area. These installations are far superior to poured concrete in this regard. Installation costs for permeable paver installations are very comparable to traditional patios. 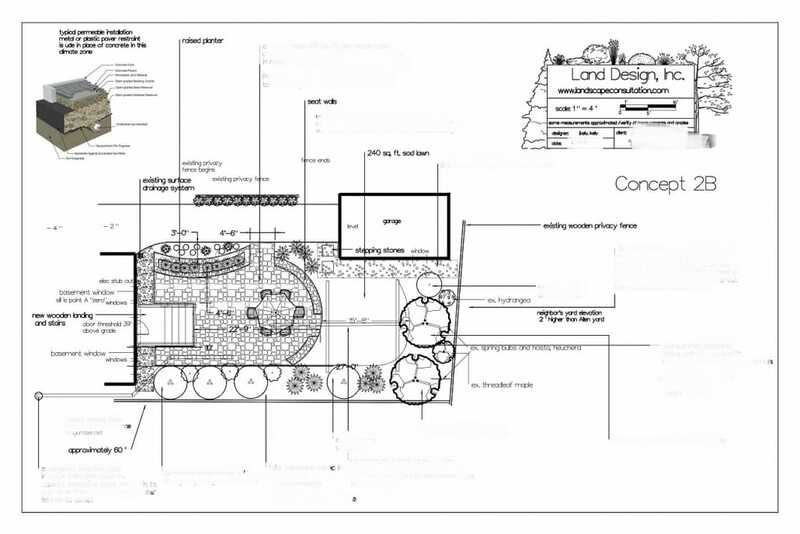 And the benefit to the environment is significant while not sacrificing usability. 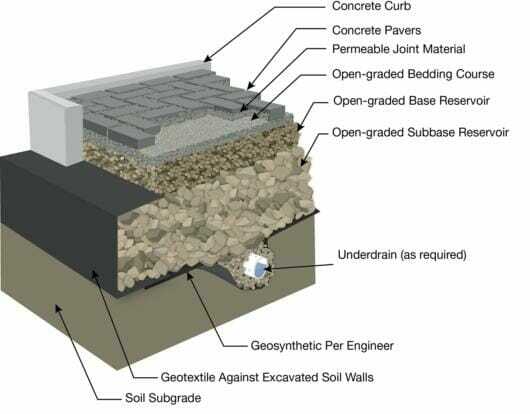 A typical detail of a permeable system. 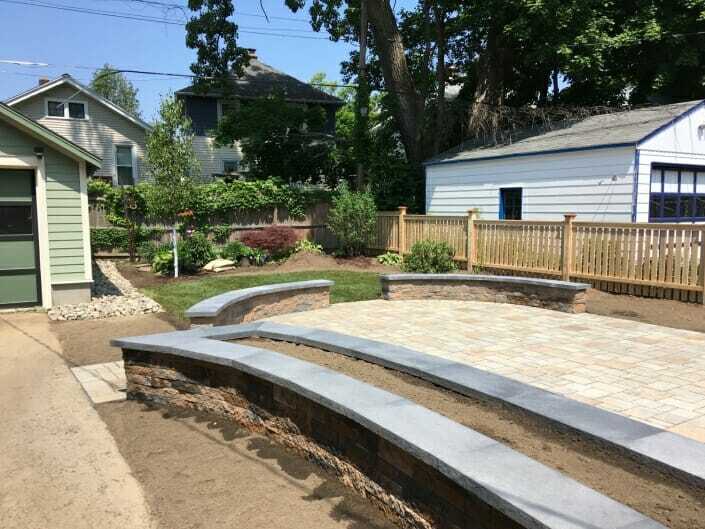 Here in the Albany, New York area we use aluminum or plastic edging in place of the concrete shown here.